MIAMI (AP) - Forecasters say Tropical Storm Barry has formed off the southeastern Mexican coast. The National Hurricane Center in Miami said the Atlantic season's second tropical storm is drenching areas in its path with up to 10 inches of rain in some places, raising the threat of flash floods. Barry was about 75 miles (115 kilometers) east-northeast of Veracruz, Mexico, on Wednesday afternoon. 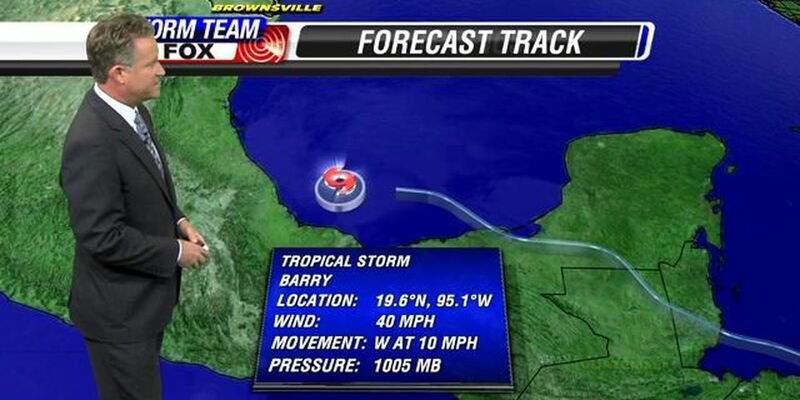 It is expected to make landfall Thursday morning in Veracruz. The storm has maximum sustained winds of 40 mph (64 kph), just above the threshold of at least 39 mph (63 kph) to become a named storm. It formed as a depression off the coast of Belize on Monday. A tropical storm warning is in effect from Punta El Lagarto to Barra de Nautla.